Team Ford is your premier destination near Sherwood Park for Ford vehicles. I mean, c’mon; a quick twenty minute drive from The Park and you are knocking on our beautiful dealership’s door, ready to take advantage of the finest and widest range of new, used, and certified pre-owned Ford vehicles in the province.  No matter what model you’re looking for, Team Ford has it, and at the best price. So what’s stopping you? Take 91st Street south or Township Road 522 west, and you can get yourself a fine Ford automobile that can not only handle, but absolutely conquer life in The Park. Sherwood Park is a diverse landscape full of people with different interests and needs, but no matter what you’re looking for in a vehicle Ford has you covered. For example, with all that beautiful, pothole-free pavement (eat your heart out, Edmontonians) why wouldn’t you want to take a 2018 Mustang for a drive? And even with gas prices as high as they are, the EcoBoost eqipped 10-speed automatic transmission with will let you harness the Mustang’s awesome power while regularly skipping the pump. Add in MagneRide suspension, and you’ve go sport tuned suspension at the click of a button — perfect for the smooth roads in Sherwood Park. Sherwood Park is full of hard working residents who need a truck that can get the job done; enter the aluminum-alloy body Ford F-150, the best selling vehicle in North America. With a number of different trim levels and options for customization, it won’t take you long to turn your F-150 into the truck of your dreams. And with best-in-class towing capacity, as well as an a new diesel engine option, the F-150 is more than capable of handling whatever you throw at it, or in it. Team Ford proudly services the Sherwood Park area. If you’re looking for a Ford in Sherwood Park, we’re just a short drive away. With an excellent inventory, friendly sales staff, and a passion for Ford vehicles, we are the best dealership for all of your vehicle needs. Contact us, or check the map below and come visit us today!